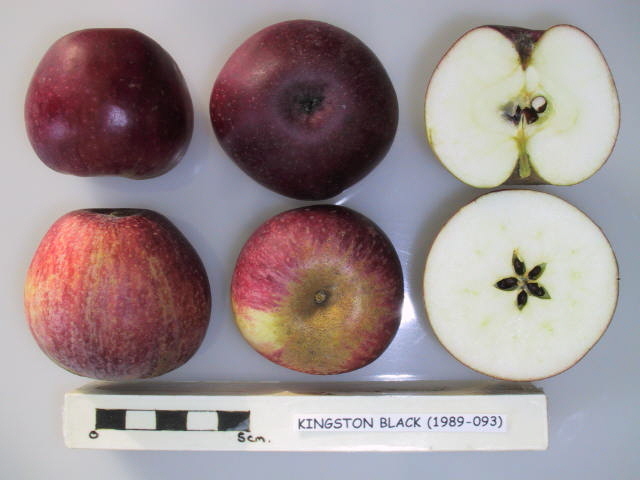 Believed to be a Somerset apple and possibly raised at Kingston, near Taunton. This variety was introduced into Herefordshire c.1820 by Mr Palmer of Bollitree Estate, Weston-under-Penyard near Ross-on-Wye. Trees are of medium size and have a spreading habit. Susceptible to scab. Fruits are medium to small in size and produce a full bodied, excellent quality cider with a distinctive flavour.